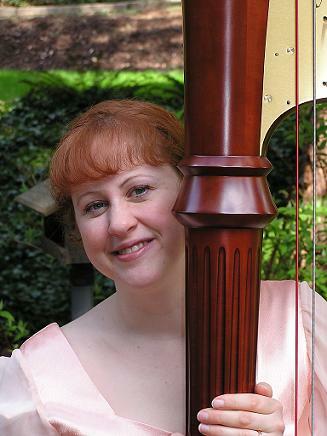 Tiffany has played the harp since 1990 and has been performing for weddings and parties for over 8 years. She studied harp at Indiana University where she also received a Masters Degree in vocal performance. In the Seattle area, she has had the pleasure of playing with The Everett Symphony, Seattle Philharmonic Orchestra, Puget Sound Symphony Orchestra, and the Northwest Mahler Festival. Tiffany also has the unique ability to sing while accompanying herself on the harp. Songs include the Bach-Gounod “Ave Maria”, “The Lord’s Prayer” and “One Hand, One Heart”.